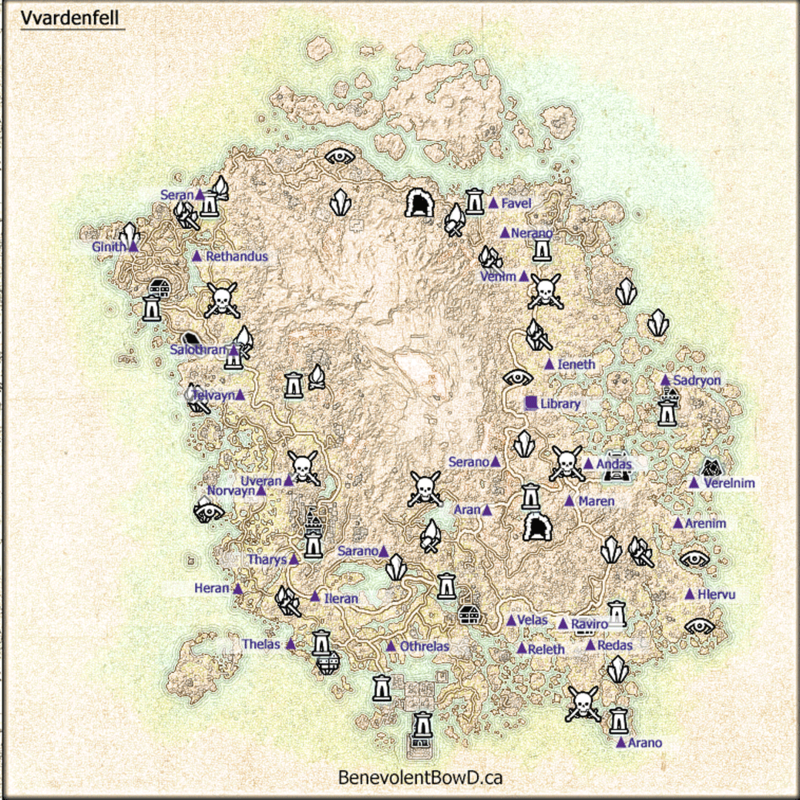 Find all 30 ancestral tombs in Vvardenfell, make a rubbing of the information they contain, and deliver these rubbings to Librarian Bradyn to discover the location of the lost Library of Andule. Note: The purchase of the Morrowind Chapter is required to complete this achievement. Talk to the Librarian in the Library of Vivec (located under the wayshrine) to begin your quest to visit all of the ancestral tombs and learn the location of an ancient library. Below you will find a map that will lead you to the general locations but doesn’t take away all of the exploration fun trying locate each of the items within each structure. 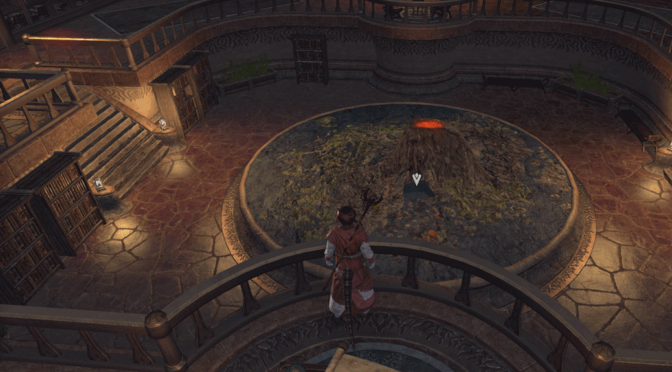 Once you locate the lost library, you will need to solve a puzzle to light the two braziers within to dispel the ward protecting the library’s secret(s). 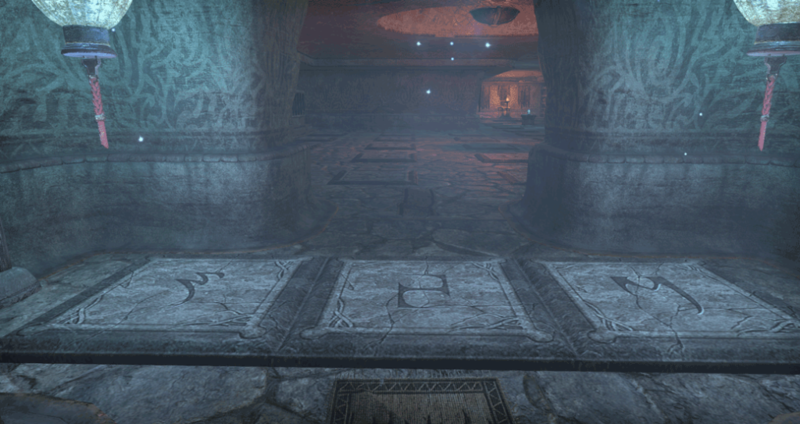 The key to the puzzle is that the daedric runes shown above (S, E, M) are the only safe tiles on the floor. Tip: Once the braziers are lit, you can access areas of the library entrance that were previous inaccessible (eg. bookshelves). Read the scrolls to understand each of the four houses. Inodril – Religion, Preserved at all costs, Outsiders may visit, but the must always be watched carefully. Dres – Holds slavery to be their sacred right and duty, Feeds Morrowind with its agricultural might, Keep to themselves and focus on improving Morrowind. Redoran – Fulfill your duty and maintain your honor, must accept and endure the harshness of life, the way of the warrior. Hlaalu – Succeed at business and turn a tidy profit, Compromise while always seeking to obtain the best possible deal, acknowledge Dunmer culture, but adapt as necessary to succeed.